Over the last few years, mobile has driven an extraordinary connectivity at our fingertips. Mobile phone is increasingly used throughout the day, and mobile marketing, has developed a complete marketing channel to reach mobile consumers. As majority of the population is connected to mobile and mobile phone offers significant reach and opportunities for advertisers. So, mobile penetration is growing as huge as earlier. A larger proportion of digital consumption is on Mobile phone. Mobile phone allows more ways to connect with your consumer. Mobile phone is taking attention away from Television. It helps the advertiser to connect with their audience easily. Mobile phone has become a significant sales channel among customers. Now-a-days people are converting to Mobile phones and expecting more will be joining in the future. 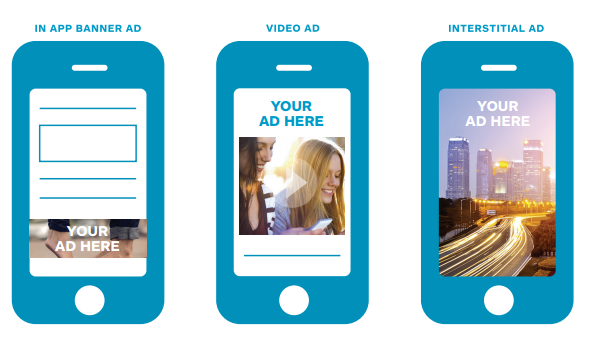 Mobile advertising is now becoming more accessible. As ad market places and new players have entered the Mobile space, these challenges are being addressed, providing new opportunities for marketers. Mobile search ads – which appear in search results. Interstitial Ad – Interstitial ads are full screen ads that cover the interface of their host application. Banner ads can be more effective when targeting customers by their browsing histories.